Are you looking to enhance your creative curriculum? Essential Dance offers a highly stimulating range of Dance workshops to bring your topic to life. All experiences will inspire every child to think about their whole learning journey through the medium of dance and performance. Workshops will include structured sessions in line with specific learning intentions. These will include a range of resources to stimulate and develop a finished dance piece. Essential Dance actively encourages the whole school community to be invited in to celebrate the children’s achievement by enjoying a final dance performance at the end of my time with them, this not only raises confidence and self esteem for the children but also enables the parents to be involved in the learning that has taken place in school. If you feel this would enhance your creative curriculum contact Essential Dance to discuss your individual needs and plans for your topic. “We have used Helen Jones to enhance our provision in school and she has been fantastic. She is an ex-parent and came highly recommended by some schools in Kempston. We used our Sports Funding for this and Helen essentially ran a 6 week block of lessons with each class in each year group and got the pupils to put on the the show to parents at the end. During the programme Helen up skilled the class teachers so they now deliver the same programme of study at a high level. An option for you to choose your own style of Dance, Topic, Theme. If you are focusing on a particular story, Essential Dance can re-create the story through the exploration of Dance. For example if your topic is Storms and Shipwrecks you might be looking at the story Kensukes Kingdom by Michael Morpurgo. The workshop would be broken down into sections in order to create a dance which tells the story. Essential Dance encourages the teachers to invite an audience in so that children can perform their work and feel proud. Throughout the workshop experience Essential Dance aims to enhance children’s knowledge and understanding of the topic through discussion and creative exploration. 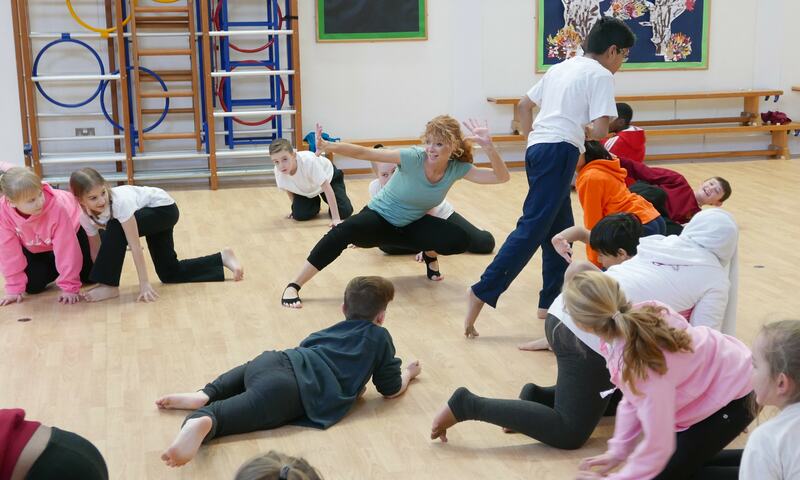 Essential Dance can offer a wide range of Dance Workshops, each uniquely created and facilitated with your school in mind ensuring a bespoke experience. Choose from a variety of engaging dance experiences and creative workshop options.